Microsoft has unveiled its smallest and least expensive Surface tablet yet, a long-rumored portable device that will compete with Apple?s iPad Mini. The Redmond company announced the new tablet after a Microsoft Twitter account sent out a teaser Monday with a picture showing four other Surface versions and the tagline ?Where will Surface go next?? To the Surface Go. The new 10-inch tablet is available now for pre-order in the U.S. and several other countries and is priced competitively to the iPad Mini, with a $399 price tag for the 64-GB storage option, and $549 for a 128-GB version. The tablets will be available in U.S. stores beginning Aug. 2. Apple?s iPad Mini 4 is slightly smaller than the new Surface, with a 7.9-inch screen, and carries a $399 price tag for 128 GB of storage. Sales from Microsoft?s Surface line increased 32 percent in its most recent quarter, but the series of tablets and laptops still lag behind market leader Apple?s iPad and MacBook series (which has faced its own struggles). The lightweight, 1.15-pound Surface Go ? about twice as big as many smartphones ? is designed to be portable, but Microsoft has also developed accessories to give it more of a laptop feel. A keyboard case with a trackpad will go on sale at the same time for between $99 and $129, depending on the color, and a Bluetooth mouse costs $34.99. Microsoft had developed a smaller Surface years ago. Industry watchers expected the device, dubbed the Surface Mini, to be released in 2014, but it never materialized. Specs of the device popped up years later, showing a tablet less powerful than the Go announced today. The company has decided the time has come to try again. ?When we designed this device, we had to ask ourselves what people want and need from a 10? Surface,? Microsoft chief product officer Panos Panay wrote in a blog announcing the device. ?The answers seem obvious ? lightweight, productive and accessible to more people.? 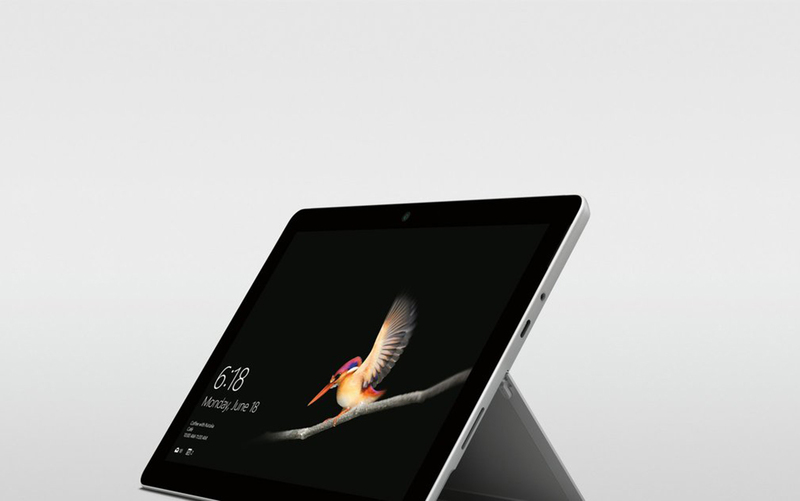 It?s the price tag that will make it more appealing for many people, shaving several hundred dollars off the price of the latest version of the Surface Pro, which starts at $799. The lower price will also allow Microsoft to give Apple and Google a run for their money in the education market, which is growing as schools buy more devices for students to use. Surface Go will run versions of Windows 10 and Office apps. An LTE cellular data version will be released later this year, the company said.